(Updated December 2018) Ashtanga Vinyasa Yoga (better known as Ashtanga Yoga) is an intense and physically demanding method of hatha yoga that was popularized by Sri K. Pattabhi Jois of Mysore, India. For this reason most people who come to practice with an ashtanga yoga teacher in Mysore go to the Sri K. Pattabhi Jois Ashtanga Yoga Institute (KPJAYI), also known as "the main shala", and practice with R. Sharath Jois, the grandson of Pattabhi Jois. However the classes at the KPJAYI can be pretty expensive and totally packed with students, about 100 students or even more. You need to book between two or four months in advance, not before and not after, and you need to pay the full fees from day one. You are also requested to sign a commitment form that you will not practice with any other teacher, otherwise you'll be expelled from the shala. If practicing ashtanga yoga at the KPJAYI has been one of your dreams then you should definitely go for it but if you are not constrained by the idea that you need to practice at the main shala then another alternative is to practice with any of the well experienced local ashtanga yoga teachers. They normally don't require you to book so much in advance. Their classes are also usually cheaper and with less students (between 8 and 15 depending on the season) so you can get a lot more attention. You could also consider to try another method of hatha yoga like Vinay's popular Prana Vashya. Each one of these teachers have their own unique style, strengths and their own group of completely devoted and loyal students who come back regularly to India just to practice with them. So it is not really possible to say who is the best teacher among all. During my time in Mysore I have met many friends that practice with either one of these teachers. Many times I have heard them say "he is the best teacher for me, I don't need to look for any other teacher." What I would recommend is to choose one teacher and practice with him for at least one month so that you can get to know him and decide later if he is the best teacher for you or not. In the six months that I've just spent in Mysore I have practiced only with Ajay Kumar and with Vijay Kumar. They are both excellent teachers and I would recommend them to anybody looking for a teacher in Mysore. The main shala is in the Gokulam area, a very nice neighborhood in Mysore, but most of the other teachers are located around Lakshmipuram, about 5 km from Gokulam. My suggestion is to find a place to stay near the area where your teacher is, unless you decide to move by rickshaw everyday or to rent a scooter. The rickshaw drive from Gokulam to Lakshmipuram is around 70 rupees and takes about 15 minutes. To find accommodation you just need to ask the teacher that you want to practice with to help you. They all have somebody helping them to organize the accommodation for their students. You can also find plenty of useful information about accommodation in Mysore and places where to eat in Claudia's Guide to Mysore, India. Don't forget to read the comments. When you stay in Mysore you will normally need to pay your landlord and your yoga teacher on a monthly basis. 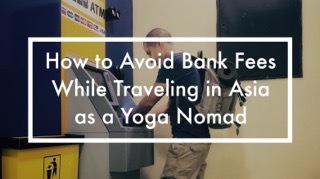 This can be pretty expensive if you are using a credit card to withdraw all the cash that you might need from an ATM. In India almost every ATM charges about 300 rupees commission per withdrawal, and there is a limit of max 10,000 rupees. That's on top of the commission and the exchange mark up that your bank might charge you. Ajay has an incredible energy, he is very enthusiastic and dynamic. His adjustments can be strong but you can tell that he knows what he is doing so it is easy to surrender, and he is very present during the class, it's almost impossible to skip an asana without him noticing it. His vinyasa class (every Thursday) and back bending class (every Sunday) are awesome. Whenever I'm doing the vinyasa his words come back to my mind: "thighs to chest, thighs to chest! Keep the elbows in!" The Shtalam8 shala has a small restaurant so after practice people like to stay for breakfast, which is a good way to get to know each other, and from time to time they organize different activities like movie nights, kirtan, trips or a delicious dinner prepared by Deepak, the nicest cook ever. Vijay's teaching style is completely different compared to Ajay's. He makes lots of emphasis on slow deep breathing. During class he walks slowly around his shala and whenever he decides to make an adjustment he takes his time and stay with you until you are finished. His adjustment are very gentle but at the same time very deep. I found that his adjustments are like a whole class because whenever he adjusts me in any posture, even without him saying a word, I feel as if I've learned a lot about my body alignment and what my body is actually capable of doing. Chidananda teaches at his own shala in Gokulam. He is a very popular ashtanga yoga teacher in Mysore, disciple of BNS Iyengar. I have many good friends who practice with Chidananda. They are completely devoted to their teacher. He is very well known for his gentle and firm adjustments and his beautiful chanting. "The first class, when I thought I could not follow his class, just by welcoming me he opened a new important door in my life and he always encourage me to continue, to try again. He's not only a very good teacher for me, he's an example as a person as well because of his kindness and simplicity. BNS Iyengar is the last living yoga teacher who is a direct disciple of Krishnamacharya. He is the teacher of Ajay Kumar, M V Chidananda and Sri V. Sheshadri, that already says a lot. He teaches Ashtanga Yoga but mainly focus on pranayama, mudras and meditation. He is very well know for his strong character and his pranayama class. Ashtanga Vinyasa with BNS Iyengar – The lost Asana. A blog written by Daniel Overberger. Masterji, is a senior yoga teacher in Mysore. He trained directly with Shri K. Pattabhi Jois for more than 15 years, and he has been teaching the theory and practice of yoga for more than 40 years. "Masterji is not a chatty man, but when he speaks he always says the right thing at the right moment. He's able to understand where you're stuck on your path and helps you to go over without giving too many useless notions. He is definitely the wisest man I've ever met and I can't wait to go back to Mysore and learn as much as I can from him." Jessica, Italy. Shashikala is the youngest of the famous Three Sisters. She practiced with Pattabhi Jois for about 15 years, from 1994 until 2009 when he passed away. Today she teaches ashtanga yoga at The Three Sisters Yogashala in Lakshmipuram. 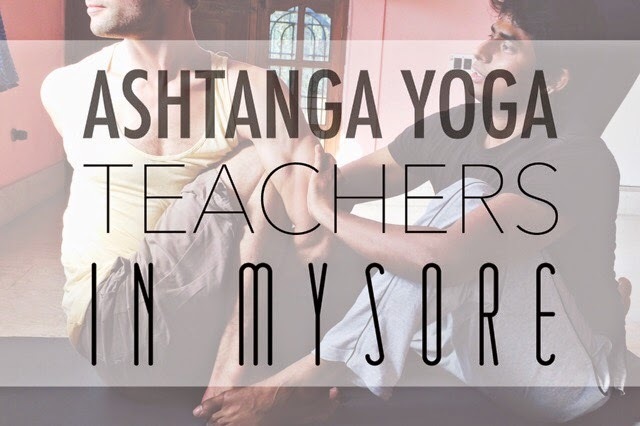 Kushal Ram is one of the newest and youngest ashtanga yoga teachers in Mysore, India. In a very short time he has already attracted many loyal and regular students. They praise his teaching skills, and his popularity keeps growing day by day. "Sheshadri is small but packs more energy and personality in his small frame that one could imagine. He is a master of adjustments which are intuitive, personalized and evolving. Many might find this off-putting (especially if one is squeamish about being touched) but if you know your body and trust in his skills, he has much to offer." Vinay Kumar is probably the best known and most sought-after yoga teacher in Mysore. Most people who practice ashtanga yoga in the morning with either Ajay, Vijay or Chidananda go to Vinay's shala in the afternoons for his popular back bending class. I've heard that even people from the "main shala" go as "undercover" to practice with Vinay. And I have heard nothing but very positive comments from my friends that have incited my desire to come back to Mysore just to practice with him. "Vinay repeats often during the class 'still the fluctuations of the mind, find your focal point, don't let your mind wander.' He helps the students disconnect from the ego by encouraging them to bring the awareness to their breath. He also helps the students understand the alignment of any asana without even laying a finger on them. He is THE teacher." Candace Martins, Canada. Vinay is the elder brother of Vijay Kumar. He actually doesn't teach Ashtanga Yoga but his own method that he calls Prana Vashya which makes lots of emphasis on making sure that the asanas follow the breath and not the other way around, while at the same time maintaining the same breath rhythm during the whole practice. His Intensive Course includes the Prana Vashya Primary Series in the morning followed by a pranayama practice, and a second asana practice in the evening focused on back bending postures. Yogacharya Venkatesha is a self taught yoga master. His journey of self exploration and healing is truly inspiring. Together with his wife Hema, they teach classical hatha yoga and yoga therapy at their own yoga center in Mysore, the Atmavikasa Center of Yogic Sciences. "After some time you can understand, by his teaching, that yoga does not happen only in the body, but happens in your mind. This is what I really experienced attending Atmavikasa school. They plant a real seed in your heart which you will never forget." Radha Rajani, Italy. Bharath Shetty teaches classical hatha yoga in Gokulam. He is a student of BKS Iyengar and has also followed trainings in the Sivananda tradition. A few friends recommended me to practice with Bharath before I came to Mysore but since I found a place to stay in Lakshmipuram I decided to look for a teacher in that area instead. Maybe in the future I'll practice with him but here you can read one of his student's testimony according to his website. There are many things to learn in Mysore besides ashtanga yoga or classical hatha yoga. For instance you can do a past life healing therapy training with B.Naga Kumar. 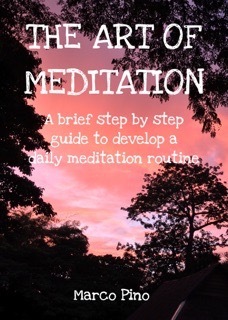 B. Naga Kumar is a meditation teacher and a therapist. He is the owner of Mumuksha, a centre that he created for the healing of past traumas or emotional blockages, using different therapies including past life healing therapy. What do Barbie Girl, Coconuts and a Palace Have in Common? Yoga in Mysore: What I Love about It, What I Hate about It. If you know about any other ashtanga yoga teacher in Mysore, or a teacher of any other style of hatha yoga, please tell us about him or her in the comment section below. And if you have practiced with any of the teachers mentioned in this blog please feel free to share with us your testimony. hi, have been following for a while. would you know which country or location for iyengar teachers. You referenced a blog post by Daniel Overberger! He's my teacher out of Hollywood, CA! I was doing random research online, you referenced a blog post by Daniel Overberger! He's my teacher out of Hollywood, CA! Hi Alexandra, oh cool. Daniel has a nice blog about his experience with BNS Iyengar. I did an interview to Iyengar as well but haven't been able to work on it, it will take me a while till I can publish that one. Thanks so much for the link to me blog! I've been practising for more than one year now. Which teacher would you recommand for a first ttc ? Great resource! Thanks for putting it together. We're visiting Mysore for the first time in a few weeks, this is great help, thanks! Hi Natalie. The first and only time that I practiced at the SKPJ Shala I didn't know a thing about Ashtanga. I practiced with Saraswati and she taught me the sun salutations A and B. So as far as I know there is no minimum requirement but if you know the sequence that would be better. They will let you practice until they think it's appropriate for you. All the best. Hi, Thanks for all the information!! Do you know of any good Hatha TTC in Mysore? I´ve had a look in the internet but they all go for around 4 - 6 weeks. I´d like something longer, so doesn´t have to be so intense. Maybe for 3 - 4 months? Hi Josefina. Usually TTC are for about a month but you could probably stay longer with your teacher to practice more and to have the opportunity to teach. I know Barath have a hatha yoga TTC. You could also look into Vinay's pranavashya yoga TTC. You need to practice I think at least one month with him to be able to do the TTC. I hope this helps. Good luck. Im in Mysore in Dec only for few days... Is there just a class anywhere to attend? Many thanks. Thanks for all the information! I would like to know if there's some place to do the Ashtanga yoga course second level, I'm doing now an Ashtanga yoga course (200hours. Primary series) and I would like to do the 300 hours course in Mysore. They have both 200 hour and 300 hour Ashtanga Vinyasa Yoga Ttc every month ! How many of these schools offer residencies? Hi Pearlgurl, you need to find your own accommodation, but normally they will help you with that. Just get in touch with the teacher that you want to practice with and he will give you the contact and information that you need. We do provide Yoga Teacher Training with food and accommodation in an Ashram atmosphere at the outskirts of Mysore. Namasté, there is also Ramesh Sheety in Lakshmipuram, Mysore Ashtanga Yoga Shala, next to the Lakshmi Post-office, blue house. Regarding asanas he has a very good guided Ashtanga class and what he calls Hatha Ashtanga, a very deep healing class. He sings the counts in Sanskrit and you get easy into moving Meditation and spirituality. His top skills are adjustments. In his late fourties, he has observated so many students, that he can read them. Also the adjustment class of his TTC is very good. Rameshji also teaches Ashtanga flow and adjustments for other Shalas and TTCs, the students always come to his shala on their off time to learn more about the magic of asanas. Thank you Eva! This is a great tip. If you know about any other teacher please don't hesitate to share more. there are other really good teachers in mysore, the atmavikasa yoga school, Archarya Venkatesh and his wife teach classic hatha yoga, backbend classes and also philosophy classes, you find them on Facebook and via www.atmavikasa.com. Thank you so much. Very useful article! I want to do my first Ashtanga YTT and I'm trying to navigate between the many available options. ... Quite a challenge. Cheers. Hi there! I was looking for a good Hatha TTC 200hrs in Mysore for October this year. Bharath Shetty's Shala don't have level one in October.. So looking for other options.. Can someone help? 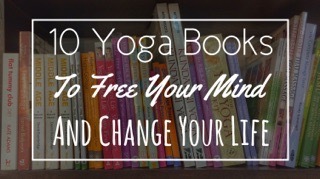 Hi, Do you have any opinion on http://www.ashtangayogamysore.net? I found their website and they offer is very interesting but I'd like to hear some feedback from you or people that went there. Any experiences at mandira Ashtanga Yoga Shala and yogadarshanam? Yoga in Mysore, It's Madness!